Champion for United States Liberty yesterday, today and in the future. 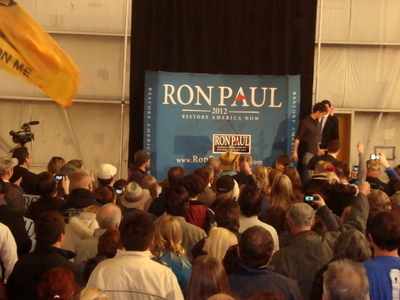 Ron Paul visited Colorado Springs and gave the audience hope and a brief message in the importance for us to serve as an example to other nations; not by force but by America sound economic policies, vitality in all areas of life, liberties and every day extraordinary respectful activities worth imitating by others. Who exactly is Dr. Ron Paul and why is he running for the Presidency again since 2008 to today’s election of 2012 against Obama? He has served as an advocate for liberty and sound money in our congress for years and was a former Flight Surgeon in the Air Force and the National Guard not what the Media tries to mislabel to cover their own lack at sound policies. Is he an American true patriot concerned about the spiraling down out of control liberty taking type of inimical government taking over all aspects of American life, business, weather and personal independence? Yes, he is. Why is it that at each election we never seem to have a real choice between candidates but those that go along with the status quo? To keep us in flux cognitive dissonance while America gets taken down incrementally. Have our lives improved since the same media agenda driven cherry picked candidates came forth? No. In 2008 we were asked to sacrifice and go along with the “establishment’s choice” but this time many concerned citizens are not buying the same argument of “let’s go along to get along”. We must stand with principle today more than ever when our lives are at stake and not keep voting for candidates that obviously have the same given script of more wars (have they improve our lives? Not), more bailouts, more intervention by government into our lives, careers, weather, health-care choices, education and so forth. Our children are suffering and many American families have been deceitfully made to become dependent on inimical entities that in reality do not look to improve our lives but their own profits or bottom line and to control them at the price of their individual liberties, land, air, water and access at their own self-charted future and not that forced upon them by those governing (rulers). We are witnessing a total control of American society at all levels and it is morally and ethically wrong and plainly stated un-Godly. 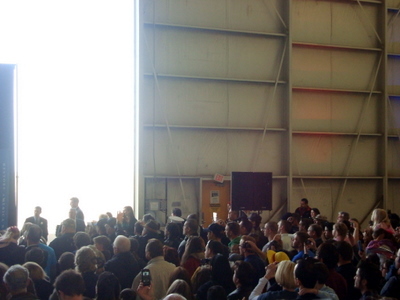 The future and present generations of Americans securing Liberty. Each person born in the U.S. has inalienable rights just by their birth alone under our creator of our humanity and Universe. For example, when born the government should NOT own you and do with your body as they please; under present but now eroding rights via deception the government and their profiteers at all costs will be controlling our bodies and later to include our minds. (Note: Watch the movie, The Transcendent man). Inalienable means that a person cannot be made into a slave or lose his right to be secured in his person and in his property; however governments today and their powerful controllers wish to control all land, property, air (weather modification: Chemical aerosol spray from skies) and water and are using fake Presidential candidates to push and pass deceptive laws that take away our rights not just to our bodies but to water (Clean Water Act: notice that the names given to the law means the exact opposite but use keywords to deceive voters), Health care Reform: or Obama Care (Government and their corp. sponsors could create disease and later bill it with guaranteed payment coverage to the system all along making it mandatory for all of us to buy), Education control-(no child left behind), NDAA (National War Authorization Act should be the real name for its what it does give government permission to declare your backyard their battlefield when they so choose) etc; etc, for there are so many liberty taking laws these days and just last year millions of new pages of legislations were passed most without our consent it would take 3 blogs or more to post. To summarize, yes Ron Paul is extremely different than the other candidates and that is what we may need for the incumbents and long time establishment seem to be on the take or taken over by an obvious inimical supra-national body of financiers’ and corrupt special interests that by their well-document and records show they wish to control all humanity and at a global scale. The US was the last hope at liberty for we were born of freedom and independence and real reason for their total take-over under Obama which also had McCain or establishment media pushed candidates that sing the same tune of Totalitarianism. 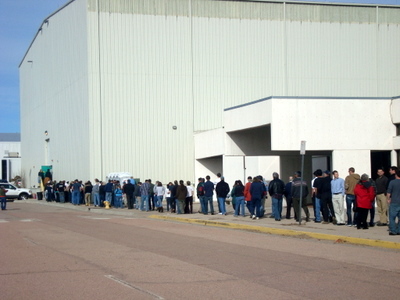 This is our last call, many have sacrificed money, time with family, job opportunities etc, for it takes long hours in research and not Fox, CNN, Disney, Halliburton or BP budgets so please help save your nation and look at Dr. Ron Paul’s voting record and long sacrifice in trying to save our Nation from total take over and destruction. This is our last chance. It’s your call. 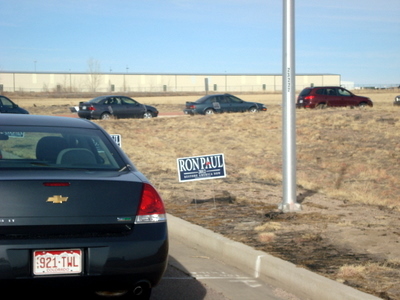 Other images from Ron Paul’s Visit to Colorado Springs, Colorado. The message of Liberty and prosperity is timeless. 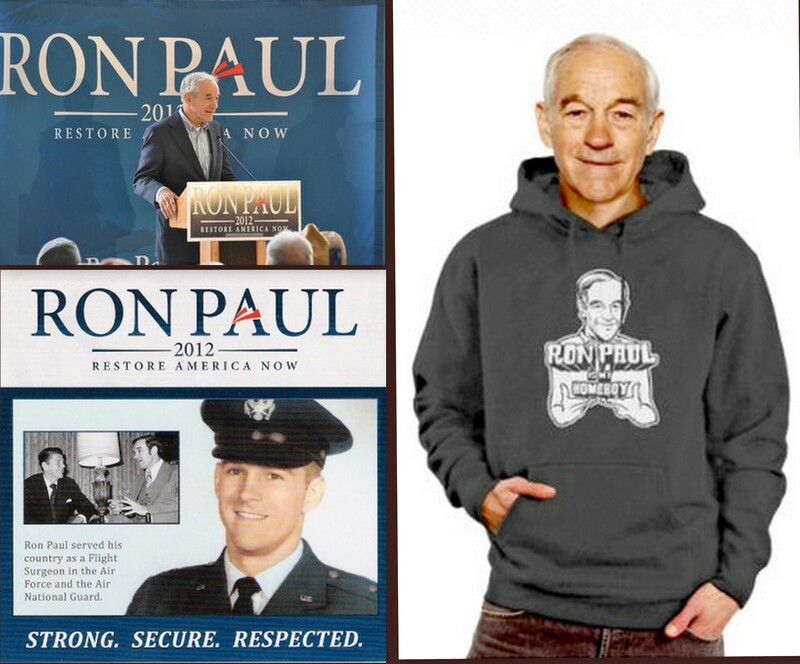 Picture Montage: Ron Paul Swag.com: Clothing, Gazette Gallery of Ron Paul visit Colorado, Ron Paul Air Force Photo from Ron Paul Campaign literature. 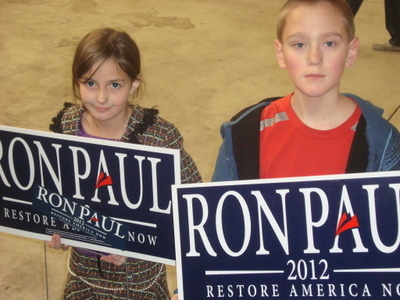 Children Photo and Ron Paul visit activities-T. Nielsen-Precinct Leader.